For over 16 years, we’ve wowed audiences in fresh new ways while pushing ourselves to new heights at a variety of conferences and meetings for John Paul Mitchell, including the “Signature Salon” held in Hawaii, Alaska, Orlando, and Las Vegas. The Signature Salon Gathering is more than an event. It’s an energetic, inspirational, and educational experience that celebrates the style of John Paul Mitchell, with programming that ranges from choreographed theatrical events to small-group educational sessions and social gatherings. We manage all aspects of the events, including theme development and design; script writing; set, stage and lighting design; and graphic, video, and multi-media design. We create a flexible space designed to accommodate anything, from the grand, multi-use presentation gallery to a suite of 16 dedicated classrooms. Making sure each year’s Gathering feels like a cohesive experience is key. Our creative team leads the conceptualization of an annual theme, which serves as the foundation for every aspect of the event. This theme becomes the driving force behind everything we create, whether we’re leading the design and script development of a presentation or crafting all aspects of a stage performance, from set design and lighting to special effects. We are hands-on when it comes to production and logistics management, talent research and booking, choreography and costuming, and the design and development of business presentations, including the creation of training, marketing, and presentation videos. Over the years, we have provided a multitude of artistic entertainment presentations, as well as a myriad of special effects and stunts, including everything from dazzling pyrotechnic effects to flying John Paul Mitchell Systems’ personnel. We have incorporated over 4,500 performers, including actors, dancers, acrobats, and athletes. 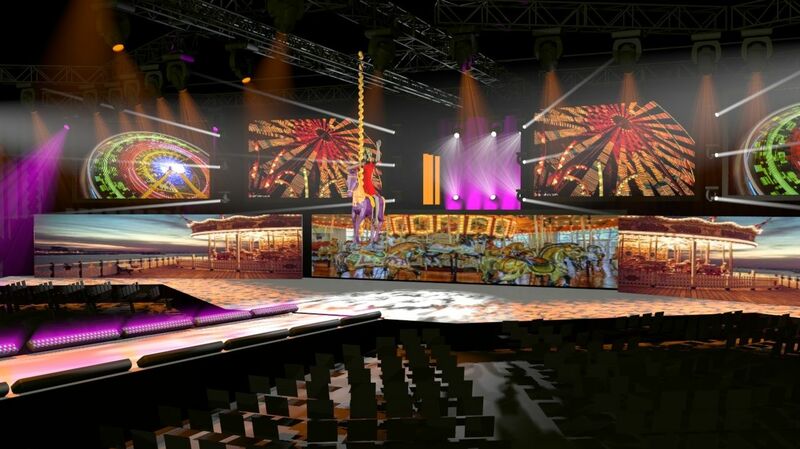 Our event technologies continue to push the envelope, including streaming live webcasts to an audience of over 100,000, and custom hologram screens, which delivered spectacular multi-image displays in support of event presentations. Our approach has led to award-winning results for well over a decade, bringing the vision of John Paul Mitchell systems to life in new and innovative ways, while never failing to bring audiences to their feet.